Are All Countries in Debt? Is Dallas A Good City To Live In? 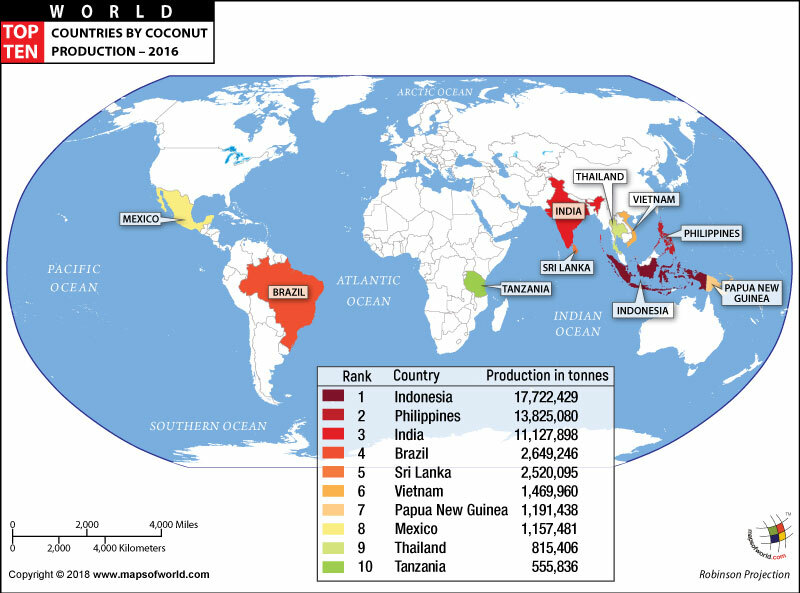 The world map shows a list of top ten countries by Coconut production in the world. While Indonesia is at the top spot, the surprise number two is Philippines, followed by India. Disclaimer : All efforts have been made to make this image accurate. However Compare Infobase Limited, its directors and employees do not own any responsibility for the correctness or authenticity of the same. What is the Story of Good Friday and Easter? What was Mexican American War? What was The Munich Massacre? What is the History of Chess?